It’s a big ask. Right now he says that corporate and finance work combine to account for roughly 30% of the firm’s local work. To grow these functions he adds that the firm will have to give particular focus to growing its corporate practice. The magic number is to make corporate work account for 25% of the practice three years from now. The way DLA Piper plans to accomplish this is by growing its own internal people, supported by selective lateral hiring. Another growth driver will be leveraging off of its global network. In a similar way, Darwin says that DLA Piper will be looking to take advantage of its size and larger budget to make inroads into markets. In this regard, he says the firm has the benefit of being bigger than its rivals, but not so big that it makes the firm cumbersome and slow footed. Considering that Darwin’s tenure as managing partner in Australia was never going to be a permanent basing and that the plan had always been to eventually pass MP duties to a home grown successor, he says that there will be a lot of things he will miss about working in Aussie law. 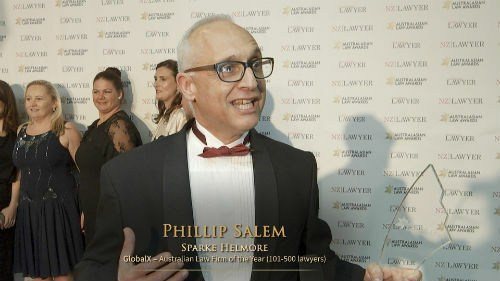 He points out that there are a lot of similarities in the British and Australian legal markets, but he also believes Australia is at a critical point, one where a new order is being set. He says it has been exciting being at the front line of this evolution.